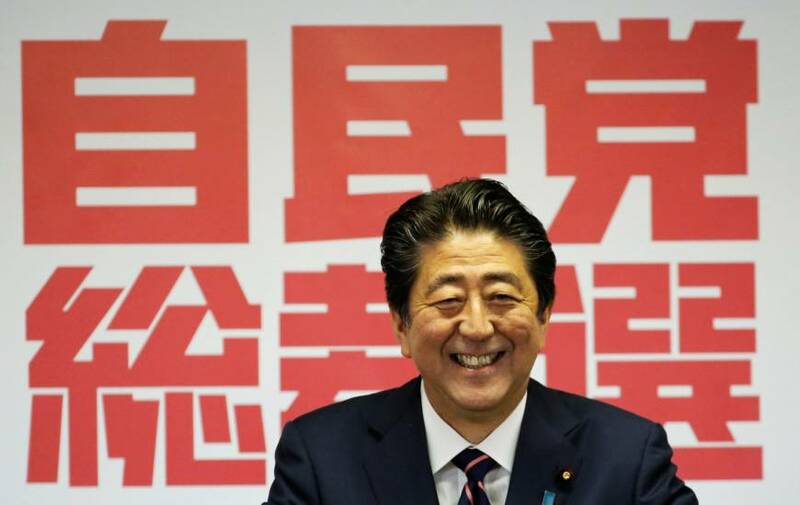 Prime Minister Shinzo Abe will likely retain his key ministers when he reshuffles the Cabinet following his re-election Thursday as Liberal Democratic Party president, a senior government official said. Foreign Minister Taro Kono, Minister of Economy, Trade and Industry Hiroshige Seko and economic revitalization minister Toshimitsu Motegi are likely to remain in their posts, the official said Friday. Within the LDP itself, policy chief Fumio Kishida, who was considered a candidate in the race, is also likely to stay, the official added. But farm minister Ken Saito, who belongs to the faction led by former Defense Minister Shigeru Ishiba, Abe’s sole rival in the leadership race, is set to be replaced the official said, adding that no one from his faction will likely be offered a Cabinet post or key executive position in the ruling party. Asked about the rumors, Ishiba said he was upset. “We’re the same LDP fellows. It’s absolutely wrong to judge by who each supported and it’s not sincere to the country and the people,” Ishiba said. 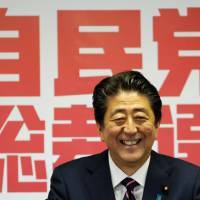 In a news conference after the election, Abe said he will reshuffle his Cabinet and the party’s leadership when he returns from the U.N. General Assembly in New York later this month. The government is arranging the reshuffle for Oct. 1 or 2, the official said. Abe has signalled that neither Ishiba nor his faction members will be appointed to any key positions, apparently bearing in mind their differences over amending war-renouncing Article 9 of the Constitution, which was a key issue in the election, according to Abe’s aides. Saito, the farm minister, raised eyebrows at a meeting in Chiba on Sept. 14 when he said he was pressured by a pro-Abe lawmaker to write a letter of resignation if he wanted to back Ishiba in the election. Saito did not identify the lawmaker. As for the other key spots, Abe will likely retain such heavyweights as Finance Minister Taro Aso, who is also deputy prime minister, Chief Cabinet Secretary Yoshihide Suga and LDP Secretary-General Toshihiro Nikai, party sources said.